SBI SO 2018 Notification has been finally released by State Bank of India. 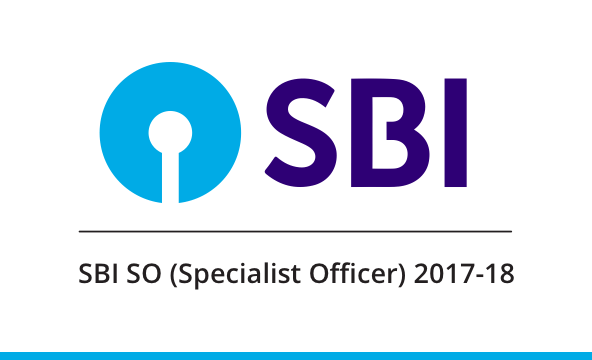 SBI SO 2018-19 will be conducted to select eligible candidates to the post of Specialist Officer in various branches of State Bank of India. SBI SO recruitment 2018 started with the release of SBI SO Notification. Candidates are required to apply online for the post of Specialist Officer. Online Application started from 20th March 2018 and will end on 7th April 2018. The selection process for the above mentioned posts will involve shortlisting and interview. The applications received will be shortlisted on the basis of candidate's qualification, suitability, experience etc. The candidates will be awarded marks out of 50 and the qualifying marks inn Interview will be as decided by the State Bank of India. The selection will be made from the top merit ranked candidates in each category as stated. The selection of candidates for the above mentioned post will be on the basis of online written test and interview process. The test will be conducted tentatively on 6th May 2018. SBI SO 2018 Syllabus will be released soon by SBI. The detailed syllabus allows you to prepare effectively by segregating the important sections from the rest. The eligibility criteria are different for different positions that are filled through SBI SO 2018 exam. A candidate must fulfil the eligibility criteria for different positions for which they have applied in order to qualify for further processes. For Special Management Executive CA/ ICWA/ ACS/ MBAin Finance or 2 years PG Diploma in Finance (The course should be of 2 years full time duration. Course completed through correspondence/ part-time are not eligible. The institute should be recognized/ approved by Government bodies/ AICTE) Min 30 years & Max 40 years Minimum 5 years post qualification experience (as on 31.12.2017) as an Executive in Supervisory/ Management role: In a Scheduled Commercial Bank/ Associate or Subsidiary of a Scheduled Commercial Bank OR In a Public Sector or listed Financial Institution/ Company. Candidates having experience in processing of credit proposals are preferred. Deputy General Manager (Law) Degree in Law (3 years/ 5 years) from a recognised University India. Post Graduate degree in Law will be preferable. Min 42 years & Max 52 years Enrolled as Advocate with Bar Council and having minimum 17 years of experience as Law Officer in the Legal Department of Scheduled Commercial Banks OR Financial Institutions OR Asset Reconstruction Company OR combined experience as Law Officer in the Legal Department of Scheduled Commercial Bank and Asset Reconstruction Company and having extensive experience in Recovery & Rehabilitation. The experience should be after enrolment as advocate with Bar Council. Deputy Manager (Law) Degree in Law (3 years/ 5 years) from a recognised University India Min 25 years & Max 35 years Enrolled as Advocates with Bar Council and having 4 years of experience as practicing Advocate OR Law Officer in the Legal Department of Scheduled Commercial Banks OR 4 years combined experience as practicing advocate and Law Officer in the Legal Department of Scheduled Commercial Banks. The experience should be after enrolment as advocate with Bar Council. An application fee of Rs 600 is required to be paid by candidates belonging to General and OBC category.The same amount is narrowed down to Rs. 100/- for candidates belonging to SC/ST/PWD category. Candidates are selected through an interview process for different posts filled through SBI SO 2018-19.The Interview Process is conducted for the candidates selected through online test. The qualifying marks will be decided by State Bank of India. A candidate is required to bring all the necessary documents for the interview process. The scale of pay for candidates being selected for the post of Deputy Manager (Law) is Rs. 15.10 Lac. The scale of pay for candidates being selected for the post of Deputy General Manager (Law, Contractual) is Rs. 47.00 Lac. The scale of pay for candidates being selected for the post of Deputy General Manager (Law, Regular) is Rs. 40.20 Lac. The scale of pay for candidates being selected for the post of Special Management Executive is Rs. 18.00 Lac. As the selection procedure is through Interview Process, a candidate is required to brush up his/her basic concepts. Candidates can refer to online books available for the preparation of SBI SO 2018-19 exam. Keeping in mind the SBI SO 2018, we are launching various Test Series, Classroom Programs and Seminars to guide you through your preparations.